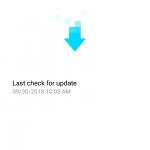 Update Oct 4, 2018: Added change log at the end of the post and added one upgrade I have noticed in the build. 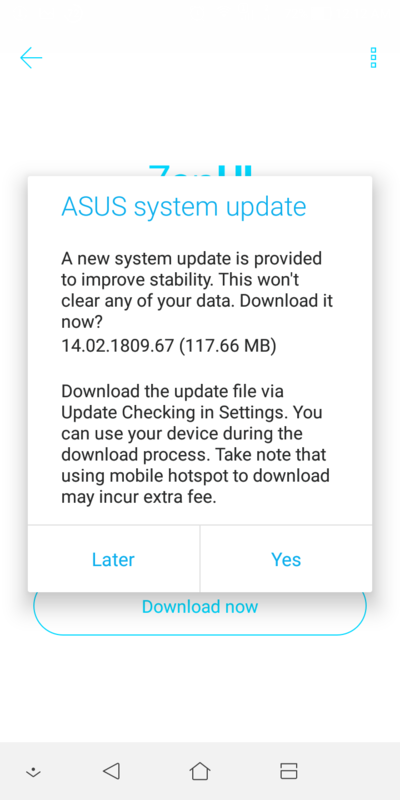 I was quite surprised yesterday to receive the update notification on my Asus ZenFone Max Plus after manually checking for updates. 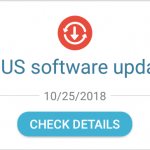 You see, just a few days ago I was writing that the Asus September update was missing. 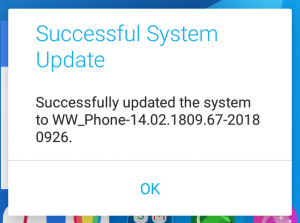 The update notification stated that firmware version 14.02.1809.67 is available for download. I have checked the official build site and the official forum that links from the update notification, but as usual there was no new information about the update or changelog. The update itself was pretty small, only 117.66 MB. 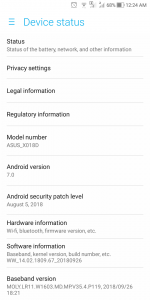 The version number, however, has jumped from .63 from two months ago to .67, which means someone has at least been tempering with builds for ZenFone Max Plus at Asus. The last two items on the list were more wishes as expectations because I don’t see that will happen at all. 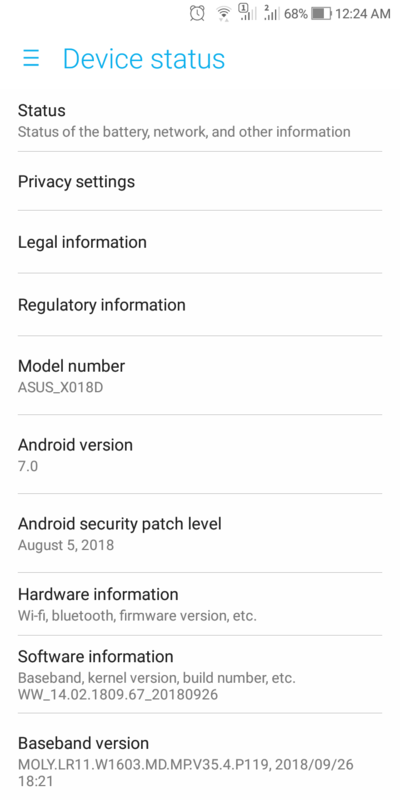 Since the file size of the update was very small, I knew I can’t expect upgrade to Android Oreo 8 even if Asus has promised it until July 31, 2018. And I was right. 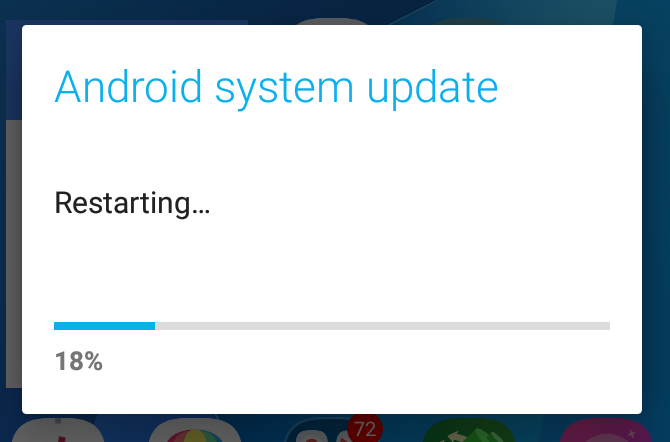 Spoiler alert: there is no Android Oreo in this update. 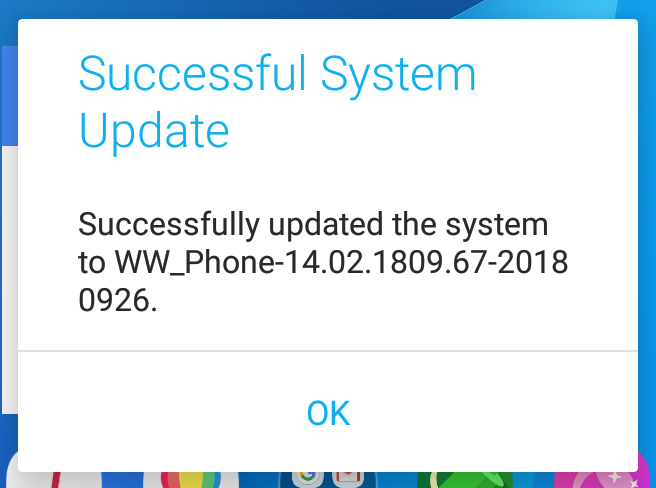 I installed the update, restarted my phone and everything went fine with no problems. The phone started up correctly. I checked the Android version and as expected was still 7.0. No surprise there. However, when I checked the Android security patch level, I was surprised. It is still set to August 5, 2018. 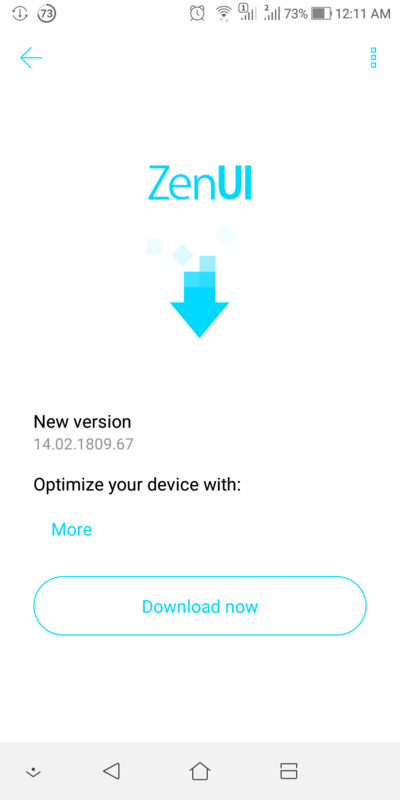 That means that the security patch was not updated this month. 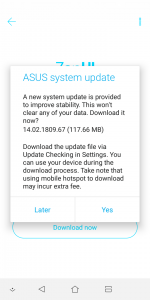 That confirms my suspicion that Asus has moved ZenFone Max Plus to the slow updates and will apply security patches every two months. However, the firmware update still came even if there is no security patch included. That got me thinking what the update includes? Could it be bug fixes? 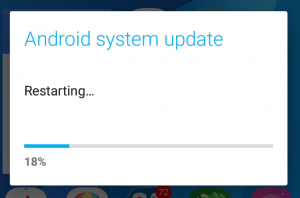 Could it be system app updates? I’m eagerly waiting for the Change log or What’s new list, but please let me know in the comments if you find any changes to the previous firmware. 2.Optimization camera of preview and viedo mode clarity. Funny that it includes the Google security patches but the version number (date) on those patches hasn’t been updated? Update Oct 4, 2018:I have noticed one change in the system so far: it’s in the People app. Adding and editing contacts now looks a bit different. Also, I’ve had one spontaneous restart since I have upgraded the firmware two days ago. I hope it’s a coincidence. You ask people to give you a shout in the comments but have them turned off. Hehe! Anyway, am surprised myself as to why Asus didn’t give a changelog with this one because they usually do, even it’s creepily small. you were right. I had comments turned off, I’m not even sure how that happened. I have turned them on and moved your comment here. Thanks for letting me know! So far, I have noticed changed People app in the part where you Add and Edit a contact. How happy are you with this phone? Very glad to have found someone talking about this phone. May I ask, does your alarm clock always work without fail? The default ASUS clock and now Google Clock (downloaded from Play Store) regularly ring late. For example, if I set my alarm for 07:00AM it will often ring 2 minutes late at 07:02. The other day it also rung 4 minutes late. I have followed the ASUS instructions from their FAQ about this problem eg. Clearing cache, checking permissions. Nothing helps! This is driving me slightly crazy as the alarm clock is something I expect to work! I do not believe this to be an Android problem as I used to have a Samsung Galaxy with no alarm clock problems at all. Please may I ask if you have any suggestions for me, and your experiences using an alarm clock on the ASUS Zenfone Max Plus M1? nice to find you too. It really seems that this phone is not so popular – not with customers and not with Asus. I’m having many problems with this phone, but luckily the Alarm is not one of them. I am depending on the alarm every morning and it so far hasn’t failed yet. The only thing I was disappointed about when I bought it was that the alarm doesn’t work if the phone is turned off. My previous phone was Huawei and it had this feature, so I expected it’s a standard feature in modern phones. One obvious workaround to the bug you have found would be to set the alarm 2 or 4 minutes early. OK, jokes aside. I think clearing caches or using another Alarm app should help if the problem is in the app. If not, I would try researching in the direction of battery saving. Maybe Clock is on the list of apps that don’t have the permission to wake up phone regularly? However, I searched for this option on my phone but I couldn’t find it. Has this problem been there from the beginning? I know the Clock app was updated with the system upgrade a few versions back. 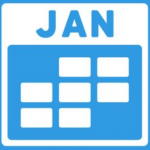 I have noticed only once that the time widget was showing the wrong time (a couple of minutes delayed), but the phone restart solved that problem. Have you tried contacting Asus in the forum? They have a debug tool that you can run and send them the details and if they find the bug they might fix it in the next firmware update. Let me know what you you discover or if, somehow, the bug solves by itself.